ONF (Hangul: 온앤오프; short for On N Off) is a South Korean boy band formed by WM Entertainment in 2017. The group consists of seven members: Hyojin, E-tion, J-Us, Wyatt, MK, U, and Laun. The group debuted on August 3, 2017 with their title track "ON/OFF" from their EP of the same name. Prior to joining WM Entertainment, U was a trainee at JYP Entertainment. MK trained at Starship Entertainment. In 2015, MK participated in Mnet and Starship Entertainment's survival program No.Mercy but was eliminated. During the group's first showcase, Laun revealed that he was a trainee at Big Hit Entertainment and used to train together with BTS. All members made up WM Boys. WM Boys performed as B1A4's backdancers at the 2016 Dream Concert in Seoul. Members J-Us, Laun, and Wyatt made a cameo appearance in labelmate B1A4's mini drama VCR "The Class", and E-tion and Wyatt appeared in another B1A4 VCR called "Feeling". Hyojin, E-tion, J-Us, and Wyatt were featured as dancers in the Korean version of the web drama 'Loss:Time:Life'. On May 25 2017, all members of WM Boys attended IDOLCON (아이돌콘) and performed "Original", a B-side from their to be released debut album. 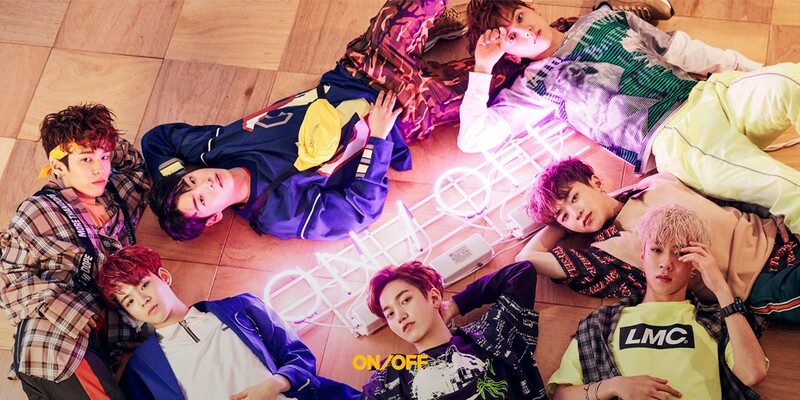 The group released their debut track "ON/OFF" on August 2, 2017. The following day, the group held their debut stage at M Countdown. The members are composed of two teams, the ON team and the OFF team. Hyojin is the leader of the ON team, which includes E-tion, MK and Laun. J-Us leads the OFF team, which is Wyatt, U and Laun who is in both teams. On November 5, the group joined the survival show Mix Nine and all of them passed the auditions.On October 28, Hyojin was revealed as the male center for Mix Nine's first performance mission: Just Dance. In the live finale on January 26, 2018, Hyojin placed second and Laun placed seventh. The top nine boys of Mix Nine were set to debut later that year, but due to the inability of the individual companies to form an agreement, the project was cancelled.